"Samson said Loria once told him that 'if you appear on Le Batard’s [show] again, I am firing you for cause, which means you don’t get paid.' So I love you, but not that much." 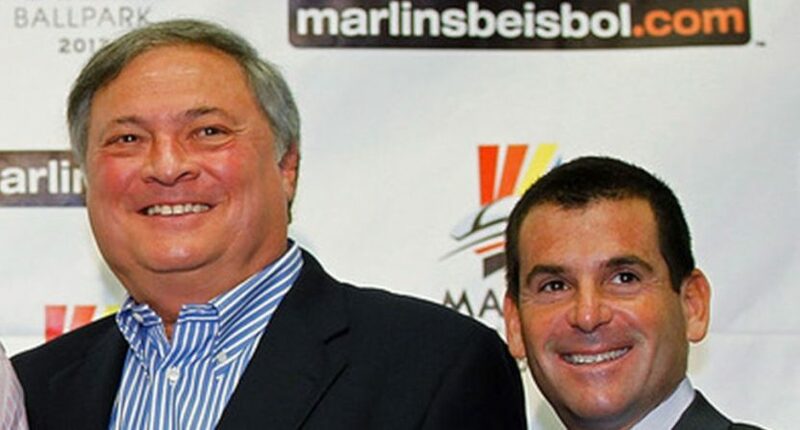 While there have been several cases of teams not wanting players or coaches to talk to particular media outlets, the approach that former Miami Marlins’ owner Jeffrey Loria took with then-team president David Samson (who also used to be Loria’s stepson; Loria was married to Samson’s mother from 1980-2005) was a bit stronger than usual. Samson (who learned he was fired by text alert when Derek Jeter and Barry Sherman took over the team last September, and then had to fire other members of the front office for Jeter)’s contract with the Marlins expired this Oct. 31, allowing him to speak freely about the team. Samson certainly did that in interviews this week, revealing some interesting stuff about the Marlins and several media figures along the way. Samson has a segment on Le Batard’s show in which he talks about movies and baseball, but Loria forced Samson to cancel the segment during his ownership. Well, that’s certainly quite the tactic from Loria, especially when it comes to someone as highly-placed as a team president. Banning a team president from talking to a particular media outlet is a new one. That was far from the only media item of note in these Samson remarks, though; here are a couple of others. …On the Marlins’ decision to fire Joe Girardi after a 78-84 season in 2005 that earned him National League manager of the year, Samson told Le Batard: “Five minutes before we fired him, Joe in front of the 1,200 fans who were at the game [at what’s now Hard Rock Stadium], said, ‘Sit the bleep down’ to the owner. That’s the biggest act of insubordination you could ever do. Oh, and that’s before accusing agent Scott Boras of “crocodile tears” at Jose Fernandez’s funeral (which Loria, not Boras, paid for), and calling him “a lecherous agent who manipulates owners to giving contracts to his players that those players don’t deserve,” or saying it’s “a fact” that the Padres keep fake medical files on players, or saying that popular broadcaster Tommy Hutton was only let go over money (but that players did also criticize him). So yeah, there’s a whole lot of fire here from Samson, and that’s interesting given his current role as an analyst. Samson is also only 50, so it’s not inconceivable he could get another front-office job, but the way he’s gone in here on various important baseball figures (from Boras to Padres’ GM A.J. Preller) may reduce those chances. It certainly made for an entertaining round of interviews, though.